The Elstead Brinley Wall Light is in an Olde Bronze finish with a glass "jam Jar" shade. The Elstead Lighting Brinley Wall Light's Vintage Style Gives A Beautifully Modern Treatment To The Familiar And Comforting Canning Jar. 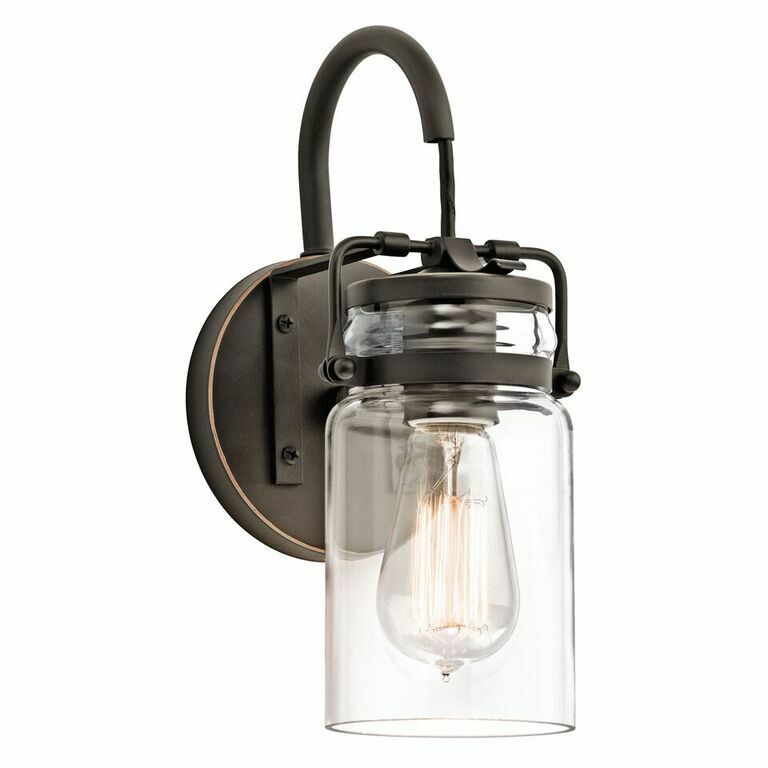 The Brinley Single Wall Light By Kichler Lighting Is A New Touch Of Home In An Olde Bronze Finish With A Clear "Jam Jar" Glass Shade..